German lawmakers are expected to vote Wednesday on whether to approve a third bailout for Greece. Both Greek lawmakers and eurozone finance ministers now back the deal, but hurdles remain before the Greek crisis is over. 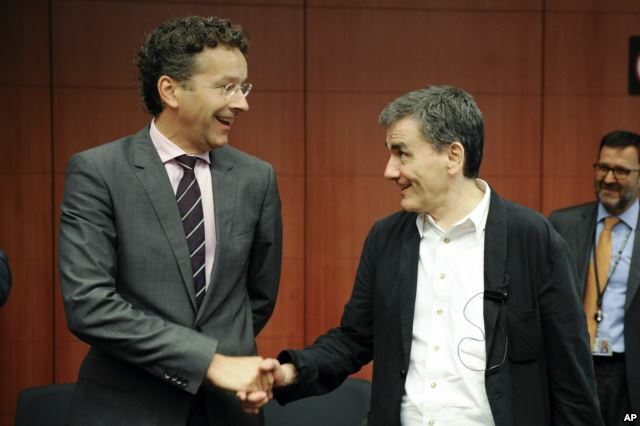 After long hours of negotiations in Athens and Brussels to back the $95 billion bailout package, now comes the hard part. A number of eurozone parliaments must vote on it — starting with Germany, one of the biggest bailout skeptics. The European Commission, the European Union’s executive arm, wants parliaments to pass the deal by Wednesday. That will allow Greece to repay $3.6 billion it owes the European Central Bank by a Thursday deadline. A key creditor, the International Monetary Fund, has yet to come on board. IMF chief Christine Lagarde said the bailout agreement is an important step forward for Greece, but more needs to be done, especially in providing debt relief to Athens. Still Dutch Finance Minister and Eurogroup head Jeroen Dijsselbloem hailed the agreement at a news conference in Brussels shortly after eurozone finance ministers approved it. 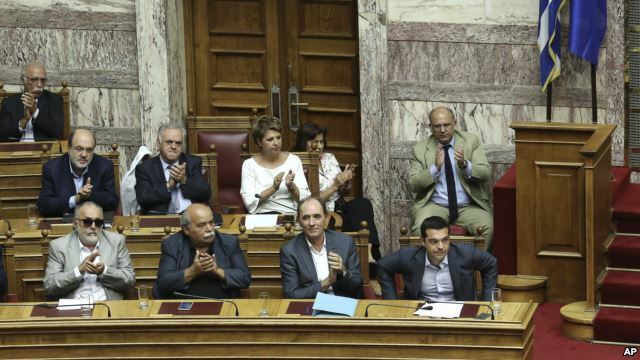 One of Greece’s biggest champions, France, also saluted the deal. President Francois Hollande tweeted it proves Europe is capable of advancing on the principles of solidarity and responsibility. Even Greek Finance Minister Euclid Tsakalotos offered an upbeat reaction, although the deal requires Athens to enact difficult reforms. But he said the bailout terms will also create problems for many Greeks. How they are handled will be key. The terms also create problems for Prime Minister Alexis Tsipras, who faces waning support from his own party and may have to call early elections. Some analysts doubt whether the measures, which include raising taxes, cutting spending and privatizing state assets, will lead to growth and allow Greece to pay back its debts. 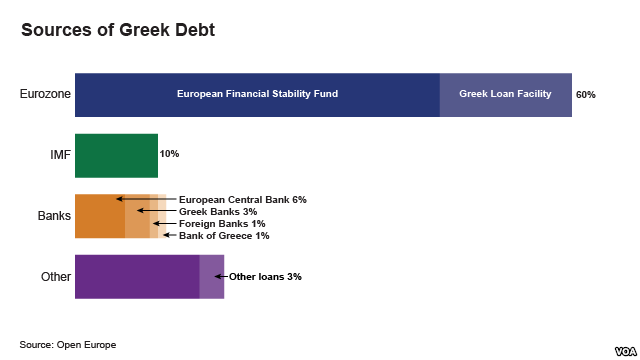 What is certain is that, in the short term at least, they mean tough times ahead for many Greeks.